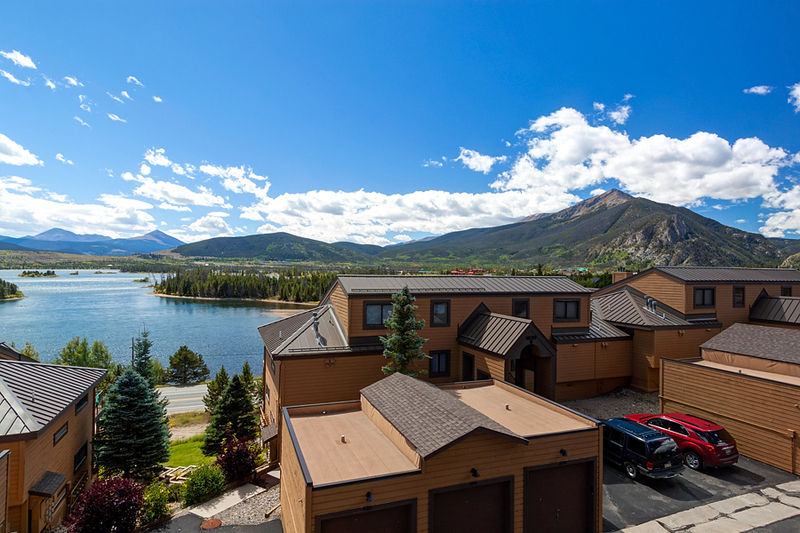 Lake Forest’s location at the heart of Summit County (and easy access to I-70) makes it a breeze to drive to all the nearby ski areas. You’re just a 5-minute commute to downtown Frisco, and in the summer, the Lake Dillon bike path is right across the street. 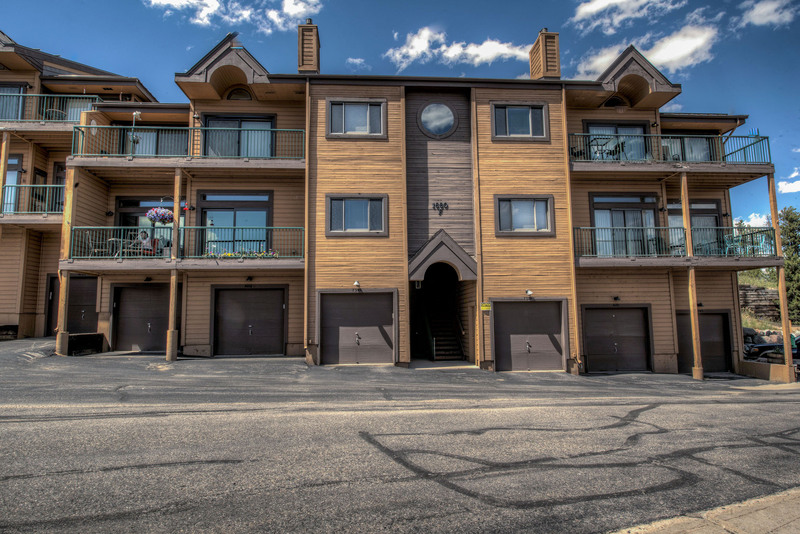 The Lake Forest complex also offers great views of the mountains and lake, as well as community outdoor hot tubs and gas BBQ grills — all at a price that will make you smile! This beautiful 2-bedroom + loft, 3-bathroom deluxe penthouse condo has views that will take your breath away! It’s the perfect mountain escape for families or groups of up to six people. With easy access to world-class ski resorts and Lake Dillon right beside you, there’s no way you won’t enjoy every minute of your stay. The living room has a beautiful gas fireplace and large LCD to keep you warm and entertained no matter the time of year. The fully equipped kitchen has granite countertops and everything you’ll need to whip up great meals for your group. There’s room for four people at the dining table and another two more at the breakfast bar. 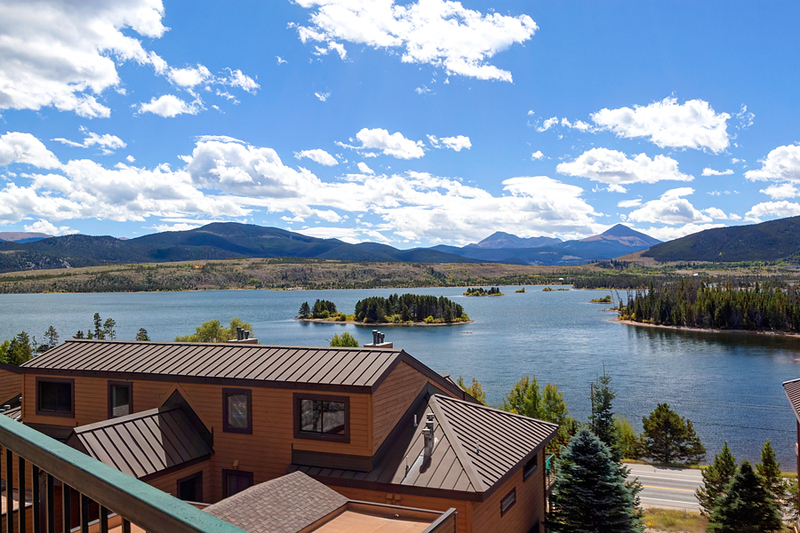 You’ll absolutely love stepping out onto the balcony and taking in the amazing views of Lake Dillon and the mountains. Plus, there’s tons of seating on the balcony for your whole party to enjoy! Other amenities include complimentary Wi-Fi, in-unit washer/dryer and parking for two vehicles. If you’re looking for beautiful views and a great location, Lake Forest Hillside is perfection. Call or book online today! King suite: king bed, private bathroom with tub/shower and private door to balcony. Queen Suite: queen bed, private door to shared third bathroom. Me and the boys did a ski trip. Condo was very clean and comfy! Would rent it again. It was perfect. Everything was so well stocked, especially the kitchen. This Lake Forest condo was spacious with lots of light and fantastic views. It had room to spread out for the 6 of us. The kitchen was well equipped. We had some light bulb issues and maintenance came right over. Decor was cozy. I was sick for a few days but had the best views from my bed! So not so bad. A quick jaunt to the slopes. Me and two of my friends ventured out to Colorado for a guys-weekend and ski trip. We loved our experience! We each had our own “room” so-to-say which was great, and the condo was nice and spacious. We spent most of our time in the living room with the TV and fireplace which was cozy. The kitchen was well equipped, and the in-unit W/D was handy for drying wet ski clothes. My husband and I rented out this property for his 31st birthday in September. The weather was gorgeous and the view from this balcony is just spectacular of the Dillon Reservoir. They had everything you need for cooking and entertaining although it was just us two this condo could easily fit a group of friends or family. We loved everything about this house and had a wonderful time staying there. Breathtaking views and close to everything. Hi Galyna! Thank you for your feedback! We are happy you enjoyed your stay! Lovely homey condo in great location. The view of the lake from the balcony is just beautiful. The floor plan was perfect for our family, and everything was spotless. A lot of thought was put into the furnishings....anything you could possibly need in the kitchen is at your fingertips. Mountain and Lake Dillon Views to Enjoy! 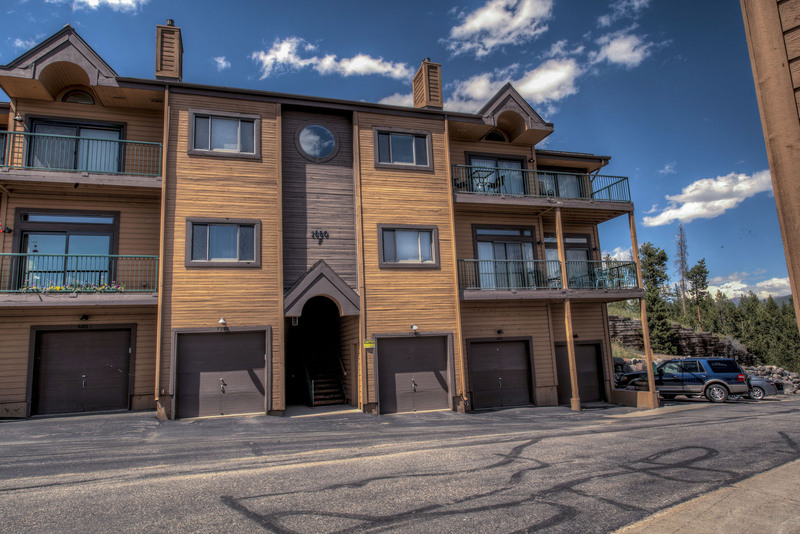 Lake Forest Hillside condo has wonderful views of Lake Dillon and the surrounding mountains - which can be seen from both bedrooms, living room and when you step out onto the balcony- WOW! WOW!! Those views alone make this the perfect place to stay. The condo is exactly as described with plenty of sleeping space for a family of 6. The 2 main bedrooms are seperated by the living room and with the loft upstairs, it gives everyone private space along with 3 full bathrooms - that's a plus! There were plenty of throw blankets to snuggle under when the temps dropped at night, as well as box fans to use when it was warmer during the day. The Kitchen was well stocked -untensils, dishes, glasses and cookware. They provided dish soap and laundry detergent. You will need to bring your own basic kitchen supplies (salt, pepper, etc.) as none are supplied. Whole Foods Market, Natural Grocer, Safeway and Walmart are just minutes away. Keep in mind that this unit is on the third floor. The Bike path/ walking trail along the lake is just across from the entrance to the condo complex. The location (just off I-70) makes this a perfect base to explore the surrounding towns, with Frisco being the closest. There are a number of good restaurants in Frisco, we enjoyed Tavern West best- it was excellent for dinner and Silverheels Bar n Grill- great for lunch. The only issue we had was with the window in the loft bedroom, it could not be opened and the window covering needed to be replaced. The Summit Mountain Rentals management staff were quick to address the issues, also helping us get the fireplace up and running. They were very helpful and accommodating when we needed an extra parking pass for one of our guests. The WIFI worked well and there were plenty of cable channels to watch on TV,(every room had it's own TV). Though really the best viewing was right outside on the deck. We can't wait to rent this unit again next summer. Very nice condo. Very nice place to stay, had everything we needed and space was great for family of 5. Location was great, loved being across from bike path and views of lake and mountains were amazing. Very relaxing, great location, enjoyed every minute of my stay. This was an excellent place to stay. Lake Forest Hillside was the perfect place for our brief but memorable getaway! The location was close enough to restaurants, shops and ski hills but down the road enough for beautiful views from our balcony. The condo was impeccably appointed with beautiful furniture, art and kitchen amenities for the most adventurous cook as well. We would love to stay here when we return next year! Great place to base your ski vacation in Summit County. Conveniently located off I-70 and near groceries and other necessities and to downtown Frisco. The unit was nicely decorated and maintained and fully equipped for cooking. Beautiful views of the mountains from the balcony. We would stay here again! It was amazing, loved the view and the condo was perfect to accommodate my family, we felt at home!